This brand new one-year Certificate Program in Analytics Data Science & Machine Learning is the industry’s answer to the demand of fulfilling a skill gap in data science. Offered by leading analytics solutions provider Nikhil Analytics and tailored in conjunction with Singapore’s leading Nanyang Technological University (NTU), the one-year intensive course lays down a solid foundation in machine learning, natural language processing, data mining techniques and regression and prediction. If you are looking for an advanced course that packs academic rigour, best-in-class faculty and relevant case studies with large datasets to play with, this one-year certification program is a good fit. Nikhil Analytics is not a newbie on the data and analytics training block – the 5-year old analytics training and consulting has been offering short-term courses in data visualization tool Tableau, Python, R and Advanced Business Analytics Power Pack among others. Building on their 5+ years of expertise in data science and collaborating with Asia’s 2nd ranked university, Nikhil Analytics has rolled out a robust course that combines two in-demand learning tracks– data science and machine learning. Also Read How Can A Data Analytics Certification Boost Your Career? First-of-its-kind onsite learning experience at Singapore’s NTU University. Each classroom session is followed by workshops across three key domains – BFSI, healthcare and retail. The classes are led by best academic minds such as Dr Jagath C Rajapakse, Dr Erik Cambria and Dr Kwoh Chee Kwong. Speaking about the collaboration between NTU and Nikhil Analytics, Dyuti Lal, co-founder and CEO of the company shared, “This is a first for the industry where students will travel and benefit from specialized knowledge with this university-wide collaboration. The course was launched in partnership with NTU with the aim of bridging the knowledge gap and lending more value to students. The 5-day workshop comes at a nominal cost and is a core part of the course”. Industry-led course provides an inter-disciplinary experience and combines two major streams – data science and machine learning. Besides, the faculty led by co-founder Dyuti Lal has gained certain street cred for lending in-depth computational skills designed to meet industry demand. The major topics covered in Data Science are Data Mining, knowledge discovery, supervised and unsupervised machine learning techniques, understanding how to optimize machine learning algorithms. In regression and prediction, students will learn advance regression techniques such as Ridge Regression and Modification Logistic Regression and cover topics such as Regression Trees, Random Forest and Boosted Trees. Another core area tackled is Deep Learning wherein the course covers conventional neural network and autoencoders. Taking forward the training in machine learning, the course will delve into unsupervised machine learning techniques such as cluster analysis and factor analysis. Also, as part of the onboarding process, the program entails 60-hours of preparatory session in statistics. Course combines classroom learning with real-world case studies backed by anonymized data sets. Most of the case studies are mapped to three major data-intensive domains — BFSI, Healthcare and Retail. Dynamic Pricing: Students are tasked with credit card analysis for a leading credit card company and assessing credit limit variability for customers, targeting the users with right promotions based on their transactional history. Predictive Analytics: Forecasting with predictive analytics, the future sales of a leading automobile company. Students are tasked with building models that will forecast the future sales and revenue and identify best prices and promotions. The Housing case study also works on similar lines, predicting future sales of the company five years down the line. The faculty comprises the best-in class with NTU academicians Dr Kwoh Chee Keong known for his extensive research work in data analysis and machine learning and its application in life science, engineering and medical field. Meanwhile, Dr Jagath Rajapakse research leans towards brain imaging and computation biology and lastly Dr Erik Cambria has had stints at HP Labs India and MUS Temasek Labs works with MIT Synthetic Intelligence Lab and Brain Sciences Foundation among others. At Nikhil Analytics, Lal leads the charge of teaching R, SAS and SQL. 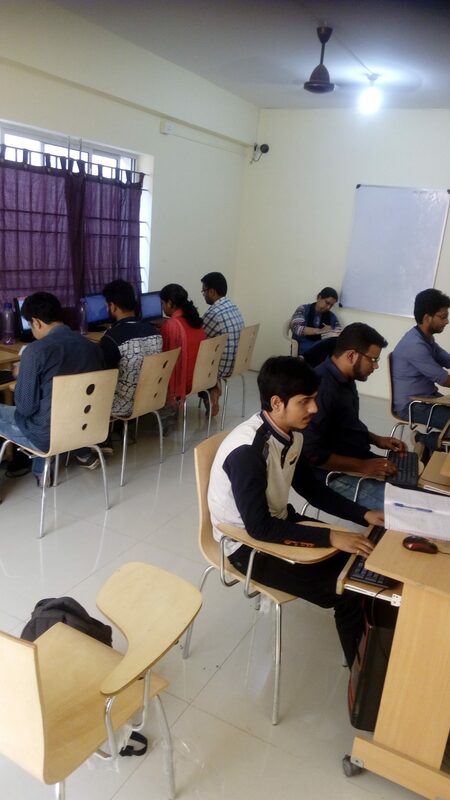 Among the in-house faculty, Alok Ranjan, COO, Co-founder, Nikhil Analytics leads the charge of teaching analytics, statistical modelling and machine learning using R, Python, Excel while Dyuti Lal teaches SQL. Other faculty members, hailing from the analytics industry give training on Excel. Although no training institute guarantees 100% placement, Nikhil Analytics has had a successful track record of placing candidates in top-notch MNCs through their a network. “Through our HR and job consultant network we receive tailored job requirements and we are able to place the students successfully. We also do resume sourcing and matching for our students with leading companies and startups. Also, we leverage our strong alumni network for placement opportunities,” she shared. They also guide students in resume building exercises and the alumni network plays a key role in helping students prepare for data scientist interviews. Pros: The course presents a first-of-its-kind international learning experience to students at a nominal cost. Its rigorous academic module makes it a good fit for candidates who want to explore Data Analyst and Data Scientist roles. The international collaboration goes beyond course content creation and includes a 5-day intense classroom and workshop session that helps student’s deep dive into machine learning and data science techniques. Cons: No dedicated Capstone project that helps in bolstering the resume. At a minimum, candidates should have an engineering, business or a statistics background to start with. Since the course is intended for engineers, programmers, and MBA professionals, students from non-technical background cannot participate.